If this is your first time submitting an event listing or directory profile to MarinArts, you will need to be logged-in to a user account. Enter your username and password below to log in. If you’ve forgotten your password, click “Forgot your password?” below to reset your password. If you've forgotten your username, please email: arts@marinarts.org. 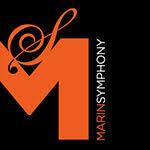 Location: Events, Organizations, Venues and Artists must be located in Marin County. Lead Time: We request that events be submitted at least two to four weeks prior to the event start date. If we receive your event info less than two weeks in advance, we cannot guarantee that your event will be posted. Event/Profile Featured Images: Upload a single square image with your event listing in .JPG or .PNG format ONLY and no larger than 1 megabyte with a required minimum of 400 x 400 pixels. For your event to be considered as a featured event, we must have a professional-quality promotional image to display with your listing. Artist Profiles: Event listing criteria apply to individual artist profiles. Artists include visual, literary, film, and performance categories (music, stage, screen). Artists must reside or have formal working space in Marin County. Editorial Review: All listings and profiles will be reviewed for format and content prior to publication. MarinArts reserves the right to edit graphic images and submissions for word count, grammar, style, and accuracy, as well as remove any listings that we believe are not suitable for the site. 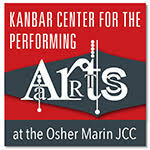 Please contact us directly with any questions: arts@marinarts.org. For more detailed guidelines, please see the Event Guidelines or Artist Guidelines.